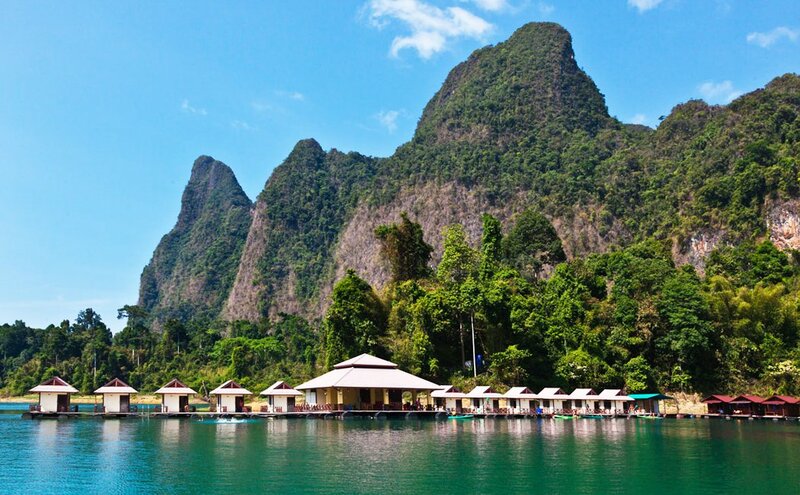 Sai Chon Raft House sits about halfway up the beautiful, mountainous Klong Long bay. 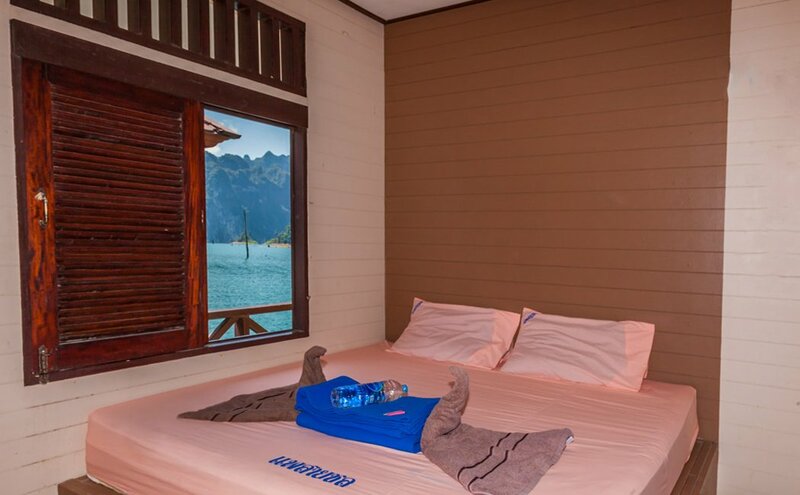 With both concrete and en-suite wooden rooms, there are a variety of modern bungalows available for your group. Its lovely view and easy access to coral cave make it a favorite for families looking for a beautiful and accessible getaway. With dramatic views abounding, kayaking here is a must! Wake up to the sound of gibbon calls and hornbills flying above. This place is also a favorite for Thai locals, so it is ideal for taking in the culture and diversity of the land of a thousand smiles! 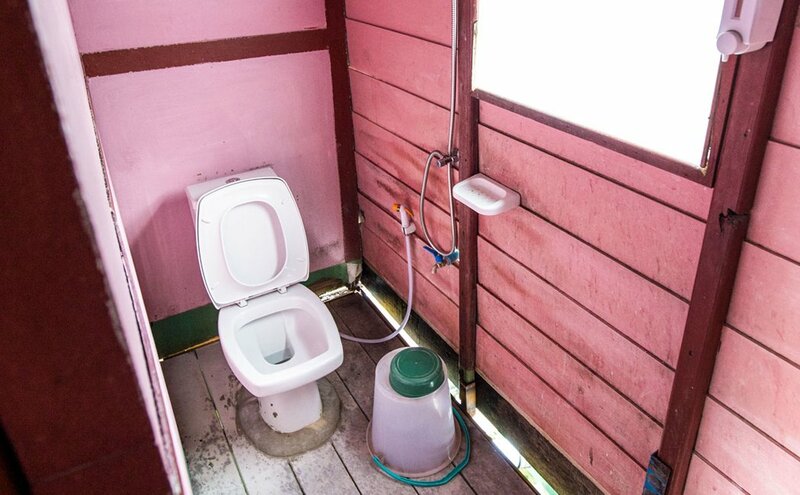 Since it sits in the near cove of Klong Long, Sai Chon is one of the more accessible raft houses on the lake. 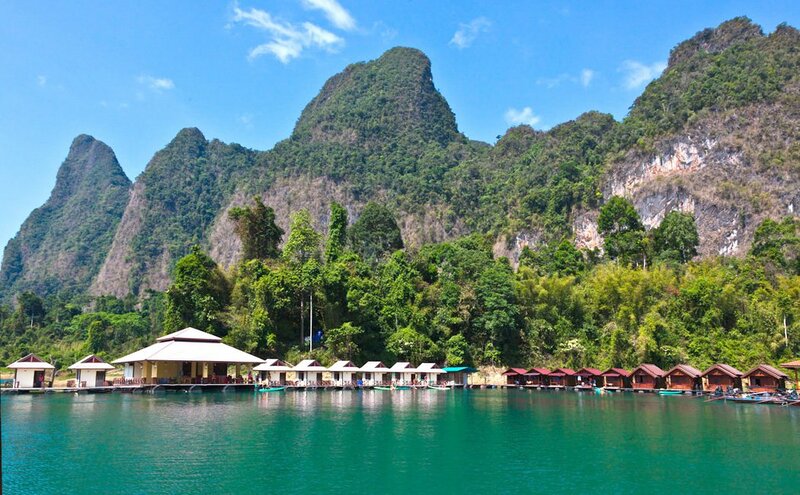 Only about 40 minutes by boat, this makes Sai Chon an ideal location for groups looking to have a shorter boat ride to get to their raft house. Also located near Coral Cave, Sai Chon raft house is a great location for groups that prefer an easier hike. 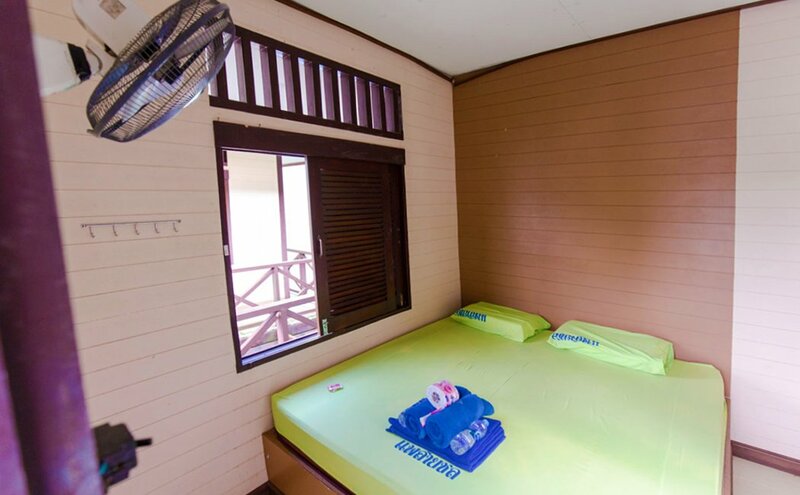 Keen on visiting Sai Chon Raft House? 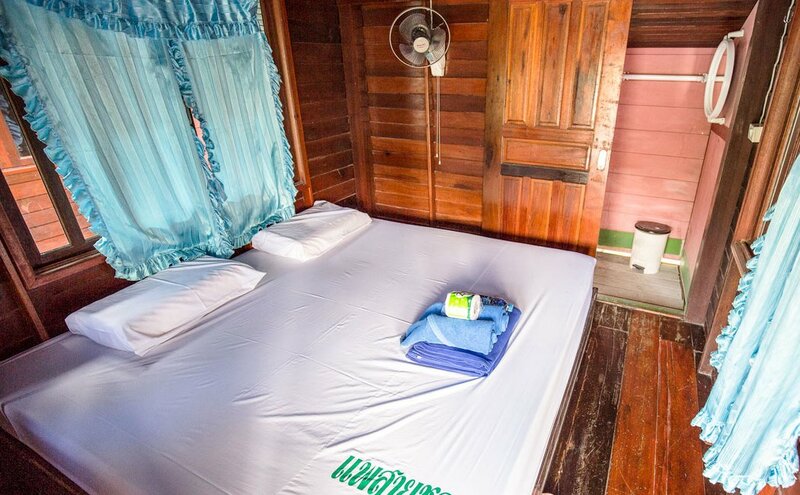 These are one of the raft houses used for 3-day or 2-day modern comforts tours.